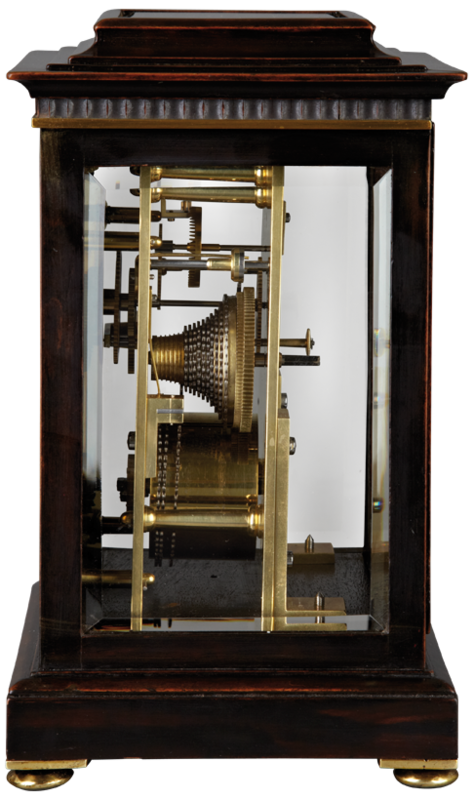 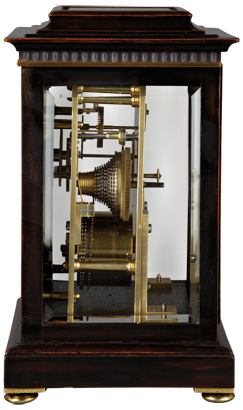 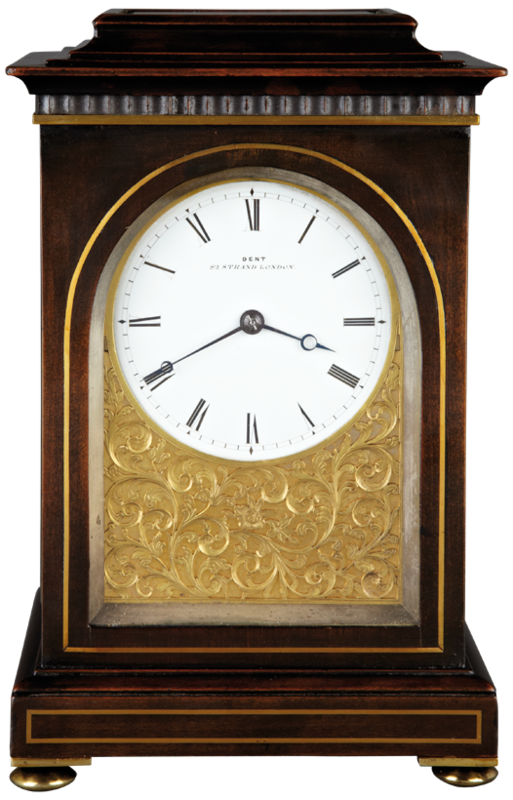 A small 19th century mantel clock by this famous maker and with balance wheel escapement. 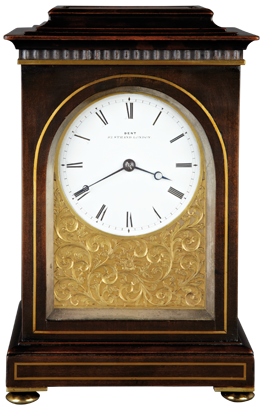 The signed enamel dial with fine hands and set within a fine gilt engraved surround, the chain fusee movement with lever escapement and held by two substantial brackets. 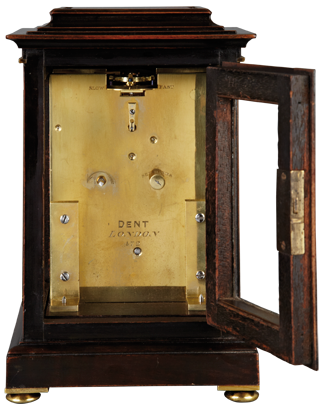 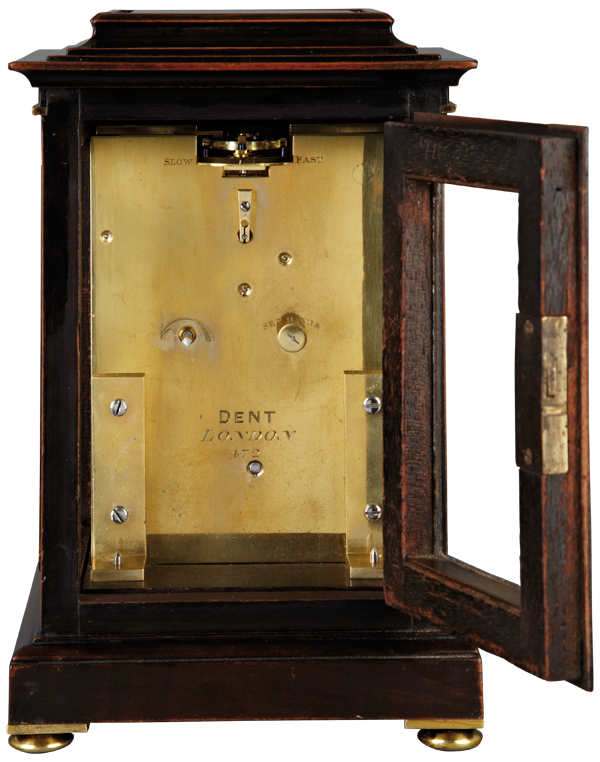 The backplate signed Dent, London, and numbered 472.